Though the family was very poor, the killer’s father — Wallace — had given his daughter a Ruger 10/22 semi-automatic .22 caliber rifle with a telescopic sight and 500 rounds of ammunition for Christmas 1978. The killer will die in prison. The father, I assume, is free. If it were up to me, I’d put him in prison too. I doubt any human has had life easier than me — a white, male, heterosexual Canadian born 1957. Back in my University days we bought tickets for Joe Cannon every year. In fact it was Keith Erhardt and friends who sponsored his trips to Calgary. So far as I know Joe still lives in Sun Valley. Sam told me this was currently his favourite band. Click PLAY or watch one of their hits on YouTube. Amie what you want to do? Click PLAY or watch it LIVE on YouTube. Click PLAY or watch a cover on YouTube. Rami Malek as Freddie Mercury was terrific. I’ve been a fan of the band since 1974. Ron Shewchuk rang me up and told me to rush over to his place to listen to Queen II. I was blown away. They were so outrageous. So creative. I saw it on London’s biggest Imax screen. Great sound! 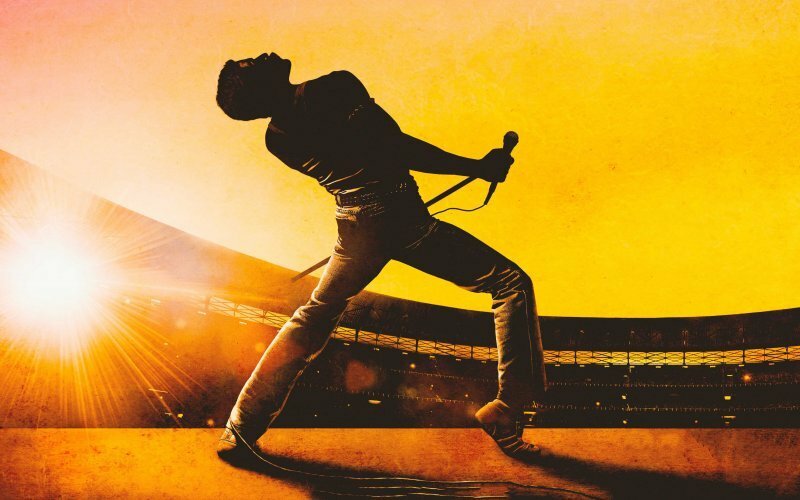 The film received a mixed critical reception; its direction, screenplay and historical inaccuracies were criticized, but the Live Aid sequence and cast, particularly Malek’s performance as Mercury, received unanimous praise. Farrokh Bulsara (5 September 1946 – 24 November 1991), known professionally as Freddie Mercury, was born of Parsi descent on Zanzibar, and grew up there and in India before moving with his family to Middlesex, England, in his late teens. He formed Queen in 1970 with guitarist Brian May and drummer Roger Taylor. A Guy Fawkes celebration set to music inspired by the science-fiction novel Frankenstein, which was first published two centuries ago. I only found out about it because thousands of people were trooping past my hostel. The street was closed. That was only one of many Bonfire Night celebrations in London.